For use on any hand loom. 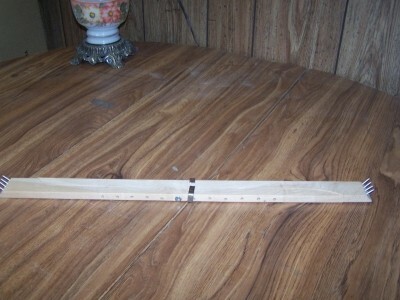 Adjustable for rugs from 27 to 42 inches wide. A handy device for keeping the rug a uniform width. Sturdily made of hardwood.